WASHINGTON––While being briefed on the inhumane, unsanitary, often abusive conditions in facilities housing more than 700 immigrant children who have been separated from their families for months on end, White House advisor and first daughter Ivanka Trump was distraught to learn Thursday that none of the detainees from ages 1 to 12 had even the most basic access to sewing machines. “When I think of those poor kids, caged so far from the factories where they belong, it just breaks my heart,” said Trump, as her chin quivered at the mere thought of the hundreds of young children who had been stripped of their right to make designer bags, shoes, and clothing. “These poor little children have the ideal hand and finger size to make small, precise stitches in profitable designer clothing, and any decent sweatshop should be able to find more than enough room for them. It’s deeply upsetting to picture them just waiting on a cold, empty concrete floor without a single purse or jacket to sew. 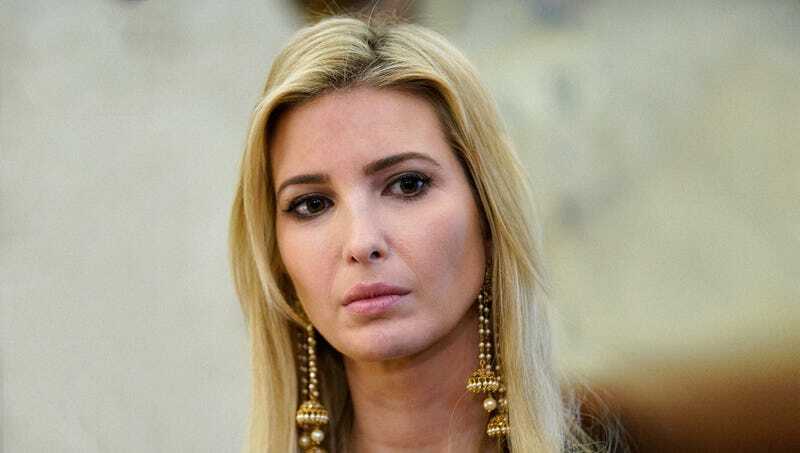 That any child, regardless of national origin, should be treated like this is an unthinkable waste, and I intend to personally see that these children are reunited with their sewing machines immediately.” Ms. Trump later announced the establishment of the Ivanka Trump Collection Foundation, which will donate thousands of dollars’ worth of garment-making equipment to ICE facilities.